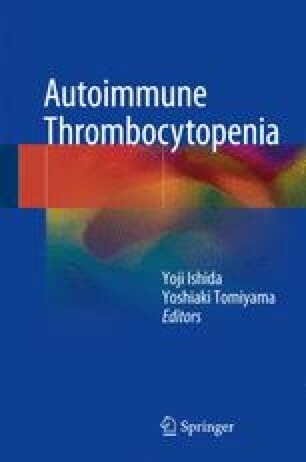 Antiplatelet autoantibodies play a critical role in autoimmune thrombocytopenia (ITP). Thus, characterization of autoantigens recognized by autoantibodies is a prerequisite for elucidating its pathophysiology. Platelet glycoprotein (GP) IIb-IIIa and/or GPIb-IX are the two major autoantigens in ITP. This capture reviews recent advance in the characterization and localization of autoantigens in ITP. This work was supported by Grant-in-Aid for Scientific Research from the Ministry of Education, Culture, Sports, Science and Technology in Japan and the Ministry of Health, Labour and Welfare in Japan.